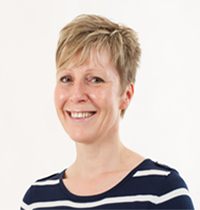 Sarah holds the industry’s highest formal qualification in pensions management and is a Fellow of the Pensions Management Institute (FPMI). She also holds the Pensions Management Institute’s auto-enrolment qualification, the Certificate in Pensions Automatic Enrolment (CPAE). Sarah enjoys walking her energetic lurcher, Blossy, around the local countryside and spending time with her two rather elderly horses.